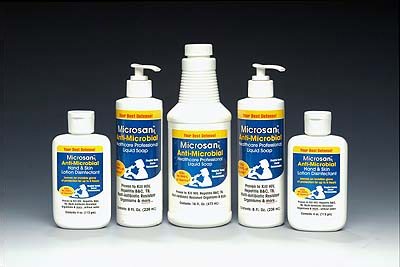 This is our basic Microsan Rx® Kit. Eighty five percent of all infections are transmitted by your hands. Think about all the things your hands touch. Most of these items carry lots of nasty germs. We also know that you touch your mouth, nose, eyes and ears 1 to 3 times every 5 minutes. When you touch these openings into your body, you introduce germs that can cause disease. Colds, flu and other infections are commonly contracted in this manner. Removing the germs on your hands is a positive way to reduce or eliminate these infections. When you wash your hands with Microsan RX® Surgical Scrub you will eliminate 99.999% of the germs on your hands within 30 seconds. When you apply the Microsan RX® Lotion, you give your hands a “Glove of Protection” that will continue to kill disease causing bacteria and viruses for the next 4-6 hours. 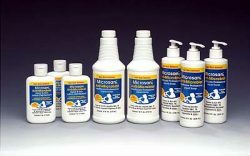 Microsan RX® are also perfect to treat skin infections, athletes foot, jock itch and other topical infections. 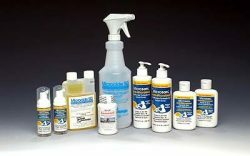 Help keep your body healthy and reduce infections using the family of Microsan RX® family of professional products. Join our mailing list for new and updated information!